HomepetsOn Sunday, January 20th, We Brunch for the Animals! Everyone knows that breakfast may be the most important meal of the day, but animal lovers across Miami know that the Humane Society of Greater Miami’s Brunch for the Animals is the most life-saving meal of the year! 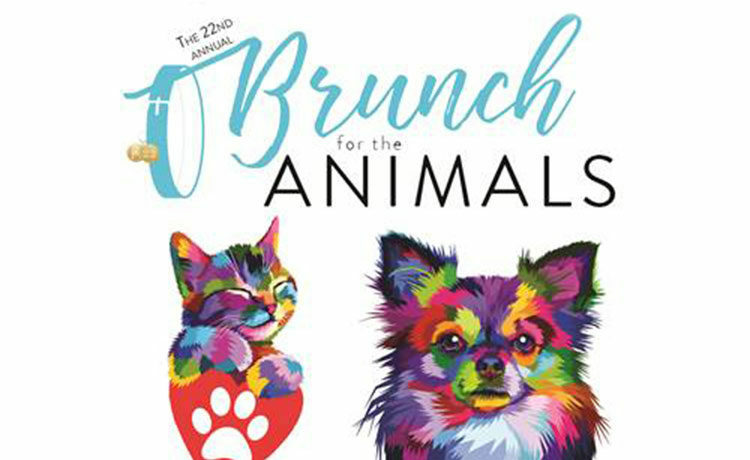 On January 20th, more than 350 philanthropists will come together at the world renowned Fontainebleau to raise funds for the homeless animals in our community by enjoying a brunch like no other. WPLG Anchor, Louis Aguirre joins this year as emcee as they celebrate the event’s 22nd anniversary, one that is sure to have the most life-changing impact yet as the proceeds will go towards the organization’s “Second Chance Fund.” This fund helps ill and injured animals whose medical needs go above and beyond the standard care available through the Humane Society’s clinics and gives these dogs and cats a “second chance” at life. 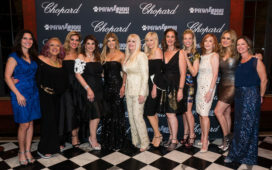 The fabulous event would not be possible without the unwavering support of Brooke Soffer and the 2019 Brunch for the Animals Chairmen, Amy Zakarin and Isaac Rosenberg, Alan G. Randolph and Steven Rodriguez, and Angela and Louis Birdman. The mouth-watering, tail-wagging fun begins at 11:30am and runs until 2:30pm. All morning and into the afternoon, you and your furry BFF will enjoy the finer things in life, starting with a world-class brunch from the Fontainebleau. 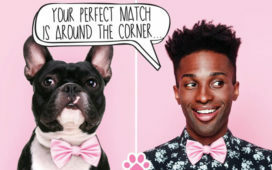 Not only can you enjoy cocktails and mimosas sponsored by Tito’s Handmade Vodka, Sartori Love Story and JP Chenet Brut and a wide array of delectable brunch foods, but your pup will also savor a four-paw rated doggie meal. Sip on your sweet concoction while perusing the fabulous silent auction, which will feature the best of 2019. Get lucky and enter the raffle for the chance to win great prizes. And don’t forget to stop at the Tito’s Handmade Vodka “Kissing Booth” where you can smooch your pooch for a photo that will hold all of the wonderful memories of the 2019 Brunch for the Animals! Don’t miss out on this one-of-a-kind event for a great cause! Tickets are $250 per person and $50 for children ages 3 to 10. Well-behaved doggies are our guests! Seats are limited, so purchase yours today! 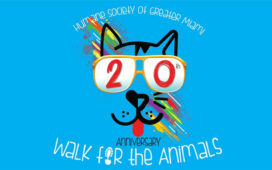 For more information contact Jossie Aguirre at 305-749-1825 or jossie@humanesocietymiami.org, or visit www.humanesocietymiami.org. 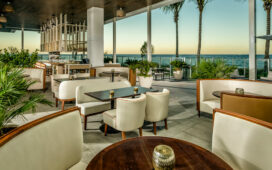 To date, 2018 Brunch Sponsors include: Brooke Soffer, Edlen Electric, Fontainebleau, JP Chenet Brut, Karla Conceptual Event Experiences, The Melted Scoop, Ocean Drive Magazine, Perry J. Cohen Foundations, Prestige Event Services, PSAV, David Ross and Henley the American Bulldog, Sartori Love Story and Tito’s Handmade Vodka. The Humane Society of Greater Miami is a limited admit, adoption guarantee facility dedicated to placing every dog and cat in our care into a loving home, and to promoting responsible pet ownership and spay/neuter programs. Adoption guarantee means that every animal that is admitted to our shelter is free from the threat of euthanasia due to time, space, or treatable medical issues. We provide shelter, food, veterinary care, and plenty of TLC while the dogs and cats wait for their permanent home, no matter how long it takes. We have been helping homeless animals in Miami-Dade County since 1936. 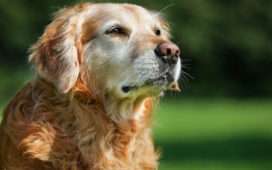 We offer programs and services to educate, inform, and inspire people to take responsible care of their pets and treat animals with the kindness they deserve. With the support of people from across the county, we are helping to create a better community for all. We are a private, not-for-profit, 501 (c) (3) charitable animal welfare organization supported solely by our programs and services, as well as donations, private grants and fundraising events.